Even at the best of times, it’s not unusual for us to feel a little squeamish about our breath. You know – during those important life moments. Maybe you’re on a first date, meeting the parents, or you’re at a high-pressure social engagement. It’s happened to all of us, and that’s because bad breath doesn’t discriminate. Luckily, there are things you can do to help solve the problem of poor dental hygiene. The first solution that comes to mind is visiting the dentist on a regular basis – nothing can replace that. But there’s one particular thing you can do to keep your mouth in tip top shape, and it’s ultra efficient. 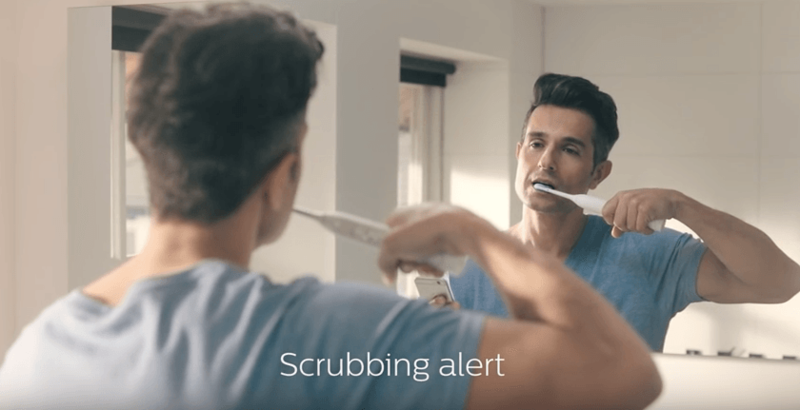 When Daily Hive heard about the Sonicare FlexCare Platinum Connected toothbrush, it was time to do some digging. We teamed up with Philips to get the scoop on this first ever connected power toothbrush for adults from Philips Sonicare that incorporates Bluetooth wireless technology. This means that you can track tooth brushing using three built-in sensors which measure brushing location, brushing pressure, and brushing technique. This real time feedback allows users to adjust how and where they brush for a more effective clean with better results – taking the guesswork out of brushing. And what’s also cool is that if you miss any areas, the touch-up features allow you to go back and address the areas for a complete clean. 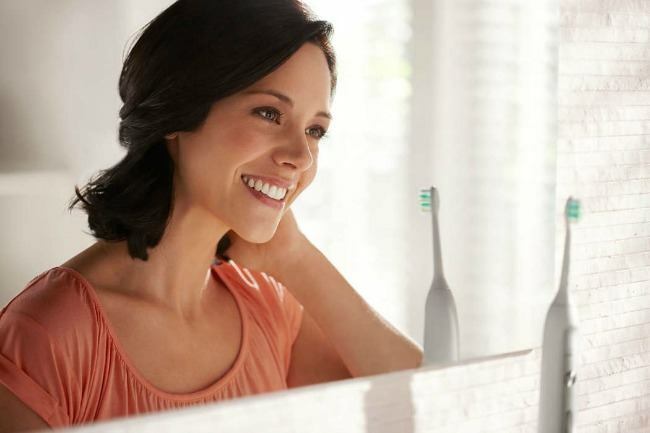 Here are five impressive features of the Sonicare FlexCare Platinum Connected toothbrush. If you’re used to using a regular toothbrush then you relate to the frustration of trying to maintain your dental health. You never know when you’re brushing too hard or not hard enough. The Sonicare FlexCare Platinum Connected toothbrush takes the guesswork out of brushing because it’s engineered with three brushing modes and three levels of intensity, offering a total of nine personalized brushing experiences. The three brushing modes include clean, white, or deep clean, while the three intensity modes include low, medium, and high – so you can get exactly what you want. The Sonicare FlexCare Platinum Connected toothbrush is clinically proven to improve your gum health in just two weeks vs. a manual toothbrush. 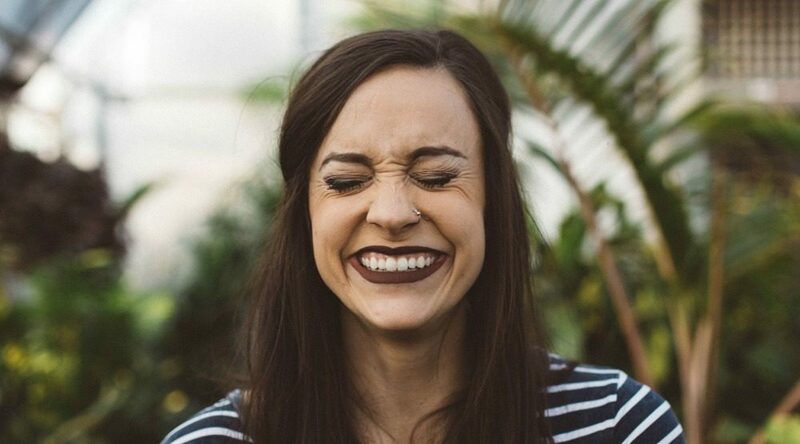 You’ll get that extra piece of mind knowing that you’re more in control of your gums’ health than ever before. 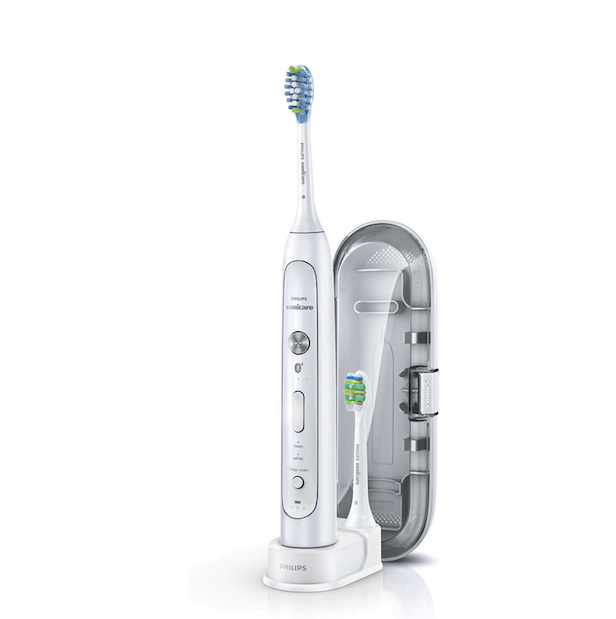 The Sonicare FlexCare Platinum Connected toothbrush comes with the InterCare Brush Head and an AdaptiveClean Brush Head. The AdaptiveClean Brush Head is the only power toothbrush head with flexible rubberized sides. The gel cushion gently absorbs excessive pressure on your gums and teeth for your best cleaning experience every day. The brush heads are complete with extra long bristles that reach deep between your teeth and along the gum line. The InterCare Brush Head uses advanced cleaning technology to remove plaque and polish your teeth so they’re squeaky clean. And what’s also cool is that the bristles fade from blue to white when it’s time to change the UV brush head sanitizer. The Sonicare FlexCare Platinum Connected toothbrush features a patented sonic technology. Contrary to the traditional toothbrush, this one boasts a dynamic cleaning action which drives fluid between teeth gently and effectively, removing plaque along the gum line and interdentally. This high tech toothbrush delivers 10 times more plaque removal vs. a manual toothbrush, giving you a nice clean feeling after you’ve finishing brushing. If you’re one of those people who puts a little too much muscle into your brushing, the Sonicare FlexCare Platinum Connected toothbrush has your back. It has the technological ability to let you know when you’re being too hard on your teeth. A unique, intuitive pressure sensor on the toothbrush forces the handle to vibrate gently to let you know you’re applying too much pressure. It’s always nice to save a little time. This state-of-the-art toothbrush comes with a two-minute timer to ensure you brush thoroughly in a short space of time. With a handy travel case and compact charger, it couldn’t be easier to take your toothbrush with you when you’re on the move. The Sonicare FlexCare Platinum toothbrush replacement toothbrush heads cost $37.97 for a pack of two – a small price to pay for a tool that gives you mega cleaning power. Check out Philips for more information.